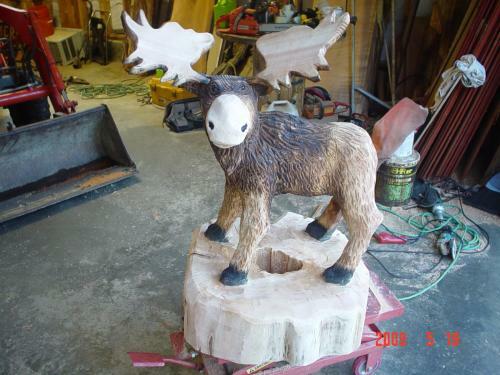 Chainsaw carved moose are a great addition to any home or garden. This sculpture is approximately four feet high. Here is a tiny little moose. 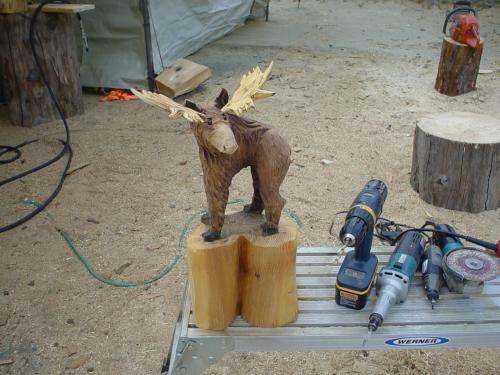 This chainsaw carving is only about a foot tall and was a popular little guy for the 2010 season. He stood on a base about a foot tall, so all in all, he's a 2-foot sculpture. The details are tiny, but he sure is a cutie, eh?